If you want an objective view of energy, ask an economist, who can tell you what to expect to pay at the pump in the coming years, and why, as well as what to expect from medium - and long-term economic growth and what the real drivers will be. These are questions that are crucial to a pending decision by the US government over natural gas exports, and while we know where big oil stands versus its manufacturing rivals — it’s the economist who can set things straight. Thoma is also a progressive and identified as a former member of JournoList - an email group of approximately 400 "progressive" and socialist journalists, academics and "new media" activists. JournoList members reportedly coordinated their messages in favor of Barack Obama and the Democrats, and against Sarah Palin and the Republican Party. JournoList was founded in 2007 and was closed down in early 2010. In 2009, he also endorsed the pro-labor union Employee Free Choice Act. Therefore, readers of the below interview can expect Thoma's answers to lean left on issues and to be insightful of the left's continued agenda in energy and other matters. James Stafford: What every regular consumer wants to know is why the price of gas at the pump continues to rise in the midst of a much-lauded oil and gas boom? Mark Thoma: In the short-run, of course, the price of gas is quite variable. Recent forecasts, for example, indicate that prices will decline a bit over the summer, but at some point they will undoubtedly head back up again. The real question is how the underlying trend for gas prices, which has been increasing over time, will be affected by increases in the supply of energy from shale and other sources. Will the upward trend in gas prices continue? The answer depends upon the relative growth in the supply and demand for energy. I believe the new energy sources and the corresponding increase in supply will temper the upward trend, but the trend will continue due in particular to growth in demand from developing economies. James Stafford: According to first quarter 2013 figures, clean energy investment is at its lowest since 2009. What do you see happening in terms of clean energy investment over the rest of 2013 and then in the next 2-3 years? Mark Thoma: With all of the budget pressures we have seen in recent years, I have a hard time imagining increased support for new investment from the government, so any increase will have to come from the private sector. The incentive for the private sector to undertake these investments depends upon the price of energy – as the price of energy rises alternatives become more attractive – but as noted in the answer to the previous question I see the price of energy continuing to rise, but do not expect the dramatic, permanent spikes in prices needed to spur a substantial increase in investment. James Stafford: Is the ethanol mandate economically feasible? Mark Thoma: I think the ethanol mandate is economically feasible in the sense that it could persist, but I don't think it's the best way to address our reliance on imported energy or the environmental issues associated with energy use. It's the political feasibility that seems to be most at issue, and the power struggle between states with grain interests and states with interests in traditional fossil fuels will determine the outcome. I expect the ethanol mandate will eventually be overcome, particularly since the discovery of new domestic energy supplies undermines one of the strongest arguments for it, energy independence. James Stafford: On a broader level, is US energy policy missing the mark by interfering too much to boost renewable energy against fossil fuels? Should the free market reign? Mark Thoma: When significant market failures are present, the free market does not produce the best possible allocation of resources and government intervention can help. Thus, the question for me is whether significant market failures exist in renewable energy research. I believe that they do, and that, if anything, we are not doing enough to promote new energy technology. This is not unique to renewable energy, such market failures are common and underlie government issued patents, research grants, and so on. However, let me be clear that I am not in favor of government “picking winners” by, say, favoring particular companies or products, but I am in favor of generous support for basic research in this area. James Stafford: How do you see the US carbon trading market shaping up even though it is not on a national level, but remains the purview of states, most notably California? Mark Thoma: Presently, there seems to be little momentum for a US carbon market, and I don't see that changing in the near future. The necessary public and political support simply isn't there. It will, sadly, probably take a natural disaster or extinction of an important species that can clearly be connected to climate change before any notable change occurs. James Stafford: How are climate change and the climate change debate affecting the economy? Mark Thoma:James Stafford: In general, what is your impression of the Fed's handling of the economy, and attempts to drive the recovery? Mark Thoma: I believe the Fed was essential in preventing an even larger collapse, and I applaud the creativity the Fed demonstrated in creating special facilities and the like to deal with various problems. With that said, the Fed has not been perfect in its reaction to the crisis. It was too slow to recognize the depth of the downturn, there was too much fear of inflation causing the Fed to under react – and when they did react they were often behind the curve – and they were far too eager to see “green shoots” just around the corner rather than make tough policy decisions. Lately, however, the Fed has done better and though it still hasn't been aggressive enough for my tastes, it has certainly helped to push the recovery along. The big problem presently is the lack of support from fiscal authorities, without such support there's only so much the Fed can do. James Stafford: Generally speaking, due to the close links among world economies most crashed following the US subprime mortgage crisis in 2008. Does this tight relationship mean that no one country can truly see an economic recovery until all/most countries are ready? How do you think the 2008 crisis will affect the way economies rely on each other in the future? Mark Thoma: One of the interesting features of the recession is that developing economies did better (in a relative sense) than developed economies. Thus, one lesson from the crisis is that developing countries are more “decoupled” from developing countries than we thought. That's not to say they weren't affected, international trade collapsed during the recession and that didn't help countries that rely upon export markets, but developing economies weren't affected anywhere near as much as many observers predicted. Within the developed world, it's a different story. Here, the linkages appear to be much stronger, both through the financial system and through the real economy, and a true recovery will require a general improvement in economic conditions. As for the future, I don't think we'll see much effort to reduce international trade as a way to reduce these linkages – that's counterproductive – but I do think we'll see much more concern about financial interconnectedness. However, turning that concern into effective regulation that can extend across national borders is a difficult problem and I'm not all that optimistic that we'll be able to do as much as needed on the regulatory front. James Stafford: What are your views on exporting US natural gas? Do you believe it could provide a cornerstone for economic recovery? Mark Thoma: Growth in the demand for our goods and services can be divided into four components, growth of consumption, growth of investment, growth in government spending, and growth in net exports (exports minus imports). Which of these components will drive future growth? It's hard to imagine consumption growth rising above where it was pre-recession when it was elevated by excessive credit growth, so this is an unlikely driver of higher future growth. Same for government spending, if anything this will be curtailed as we try to bring our long-run budget under control. Business investment might increase and drive future growth, but it is relatively high already and further increases seem unlikely. That means our best hope for strong growth in the future lies with increasing the growth in exports, and exporting natural gas could be an important component of growth in this area. James Stafford: Oil is finite, and whilst many countries in the world have poorly developed economies, oil supplies already struggle to meet demand. Basically, not all countries can develop economically whilst the first world economies remain as large and demanding as they are. Do you think as more effort is made to develop third world countries, the first world countries must inevitably decline as a result? Mark Thoma: I'm an optimist when it comes to world growth and I do not believe that developed countries must decline as developing countries rise. Technology – digital technology, the rise of robots, and advances in energy production in particular – will allow both the developed and developing world to prosper. My big worries lie with distribution, i.e. whether and how the problem of rising inequality can be solved. 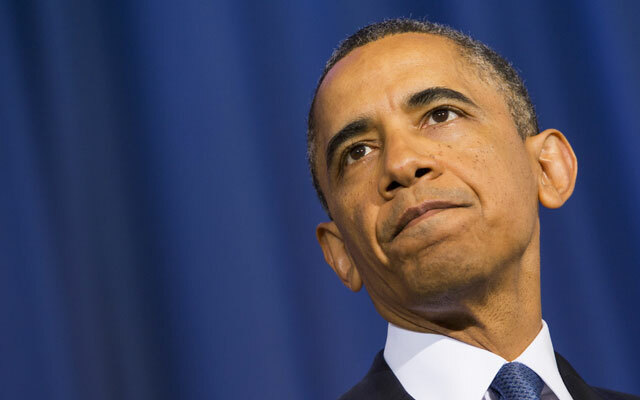 James Stafford: What will Obama's economic legacy be? Has he helped or hindered economic development? Mark Thoma: That's a tough question since we don't yet know what's ahead, but a big part of his legacy will certainly be connected to Obamacare, particularly if it eventually evolves into some type of single payer system with universal coverage. A second legacy is more uncertain, but I believe Obama would like to produce a Grand Bargain that will bring our long-run budget under control. Whether he'll be remembered fondly by liberals for this will depend upon the degree to which he protects important social insurance programs, Medicare and Social Security in particular. Then there's the legacy I hope he'll have, but doubt he will. This may be mostly wishful thinking, but if the deficit continues to decline as it has recently, if government spending as share of GDP is no higher post-recession than it was pre-recession, and if inflation remains subdued (as I believe it will), then perhaps his third legacy will be an important lesson. We worried far too much about debt and inflation, and far too little about the most important and most costly problem, the unemployed. We could have and should have done much more than we did to help the unemployed, and if we can somehow learn that lesson, that will be an important legacy of the Obama years. © 2013 - James Stafford is Editor of OilPrice.com, a leading online energy news site. Its news and analysis covers all energy sectors from crude oil and natural gas to solar energy and hydro. This interview was contributed by Stafford to the ARRA News Service. Those wishing to reprint the complete article should contact Mr. Stafford. Tags: energy, economic growth, progressive, economist, Mark Thoma, interview, Oilprice.com, James Stafford To share or post to your site, click on "Post Link". Please mention / link to the ARRA News Service. Thanks! By United Press International, GOPUSA: Senators who John McCain, R-Ariz., once called "whacko birds" are the real Republican mainstream, said Sen. Ted Cruz, R-Texas, daring McCain to prove him wrong. 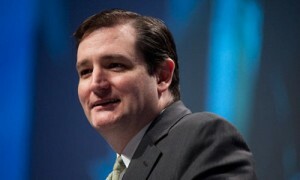 Cruz, a freshman senator endorsed by the Tea Party movement and the libertarian Republican Liberty Caucus, said on the Senate floor Thursday he and fellow deficit-hawk Republicans Rand Paul of Kentucky, Mike Lee of Utah and Marco Rubio of Florida were not a crackpot fringe for standing in the way of negotiations with the House to reconcile the two chambers' competing U.S. budget proposals. Cruz, Paul, Lee, Rubio and other conservative lawmakers with close Tea Party ties say they adamantly object to the appointment of a House-Senate conference committee to bridge the vast gap between the House and Senate budget versions unless the lawmakers are guaranteed negotiators won't agree to link a budget deal to a debt-limit increase. McCain, a senator since 1987, called his upstart colleagues' defiance obstructionist and said their demand for a guarantee showed their ignorance of how the Senate works. "It's not the regular order for a number senators -- a small number, a minority within a minority here -- to say they will not agree to go to conference," McCain said Thursday. "We're here to vote, not here to block things," he said. "We're here to articulate our positions on the issues and do what we can for the good of the country and the let the process move forward." He said the budget blockade was the latest example of the small senators group pursuing a strategy that will "paralyze" the Senate process. He said it could provoke Democratic leaders to take extreme steps to change Senate rules to crack down on delaying tactics. Two months ago he told The Huffington Post he considered them "whacko birds" after they filibustered John O. Brennan as President Barack Obama's nominee to head the CIA until he guaranteed Washington wouldn't use aerial drones to kill Americans in the United States. "I think it can be harmful if there is a belief among the American people that those people are reflective of the views of the majority of Republicans. They're not," McCain said in the Post interview, published March 7. Cruz said Thursday McCain was "impugning all 45 Republicans in this body" by suggesting Cruz and his colleagues were a small troublemaking minority of the GOP for continuing to stand in the way of the House-Senate conference committee and pressing the debt-ceiling issue. "There may be more wacko birds in the Senate than is suspected," Cruz said. "I believe he will find that his representation to this body -- that it is only a minority of Republicans that oppose that -- is not accurate," Cruz said. Cruz challenged McCain, saying if the Arizona Republican can produce a document showing a majority of the Senate GOP supported the McCain position, "I will offer here and now to go to a home game of my Houston Astros wearing an Arizona Diamondbacks hat." Tags: U.S. Senators, Ted Cruz, John McCain, Arizona, McCain out of touch with Senate GOP To share or post to your site, click on "Post Link". Please mention / link to the ARRA News Service. Thanks! Sen. Inhofe: Oklahoma Is Grieving And In Pain . . .
A full transcript of Sen. Inhofe's address follows:“Hi, I’m Senator Jim Inhofe from the State of Oklahoma. Let me begin by telling those who lost loved ones during the tragic tornadoes in our state how much we love you guys. My family and I continue to pray for you. We pray for you every day. “I’ve been in constant contact, in communication, with the Oklahoma Emergency Management and the Federal Emergency Management officials, and the Leaders of the Oklahoma National Guard – you can see over here – that the direct needs of those affected on the ground are being met. Oklahoma has been hit hard, but we’re not knocked out. 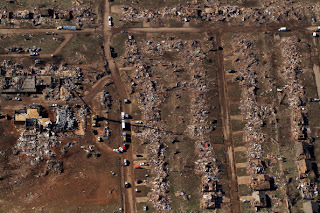 “Fourteen years ago, on May 3, 1999, an eerily similar tornado struck the same area of Moore, Oklahoma, and again in 2003. The images and the stories from the storm earlier this week are nothing new. Oklahoma will persevere and overcome this tragedy as we have demonstrated in the past. “After the Oklahoma City bombing -- we all remember that in 1995 -- people saw the many ways Oklahomans took care of each other, from running toward the bombing instead of running away, to donating their blood, and their time and their money. “This daily display of neighbors helping neighbors became known as the Oklahoma Standard. 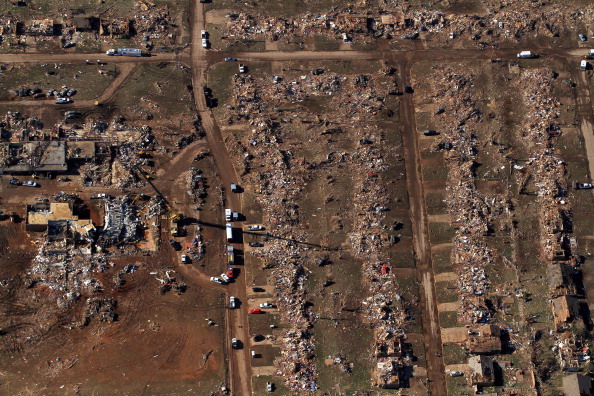 After each disaster the people of Oklahoma face, the Standard is exhibited again and again. In the aftermath of the Moore tornado we are witnesses once again to the Oklahoma Standard. “The accounts of two elementary schools that were wiped out by the winds of 200 miles an hour have struck a chord, I think with all Americans – with everyone watching us now -- all Americans across the country. It was the last day of school for most of the students -- you know how excited they get -- when the storm tore through the town of Moore, leaving little in its path. We’re beginning to hear about the selfless acts Oklahomans demonstrated to ensure the safety and protection of their fellow neighbors, and their friends, and their students. Second-grade teacher Tammy Glasgow kept praying with her students and reminding them how much she loved them as she and her students took cover in a school closet; We had Suzanna Haley, she was a first-grade special education teacher in Briarwood Elementary School, suffered a severe injury when part of a school desk was impaled in the back of her leg while protecting the students in her classroom. The most heart-wrenching testimony I’ve heard is from the person who was responsible for matching the missing kids with the missing parents. The individuals who lived through these storms are volunteering in the recovery and assisting efforts right now, and they’re America’s real heroes. “I have seen people from all corners of the state continuing to flock to the devastating areas to give their time, their money, and their energy to help meet the dire needs of those injured or displaced. The Oklahoma Standard has survived an act of terror in 1995 and devastating natural disasters in the past. This most recent storm will only embolden the standard, and encourage the rest of the country to follow our lead. “But our victims desperately need your help right now, they need your money. If you are able, please visit the American Red Cross website at AmericanRedCross.com or the Salvation Army website at SalvationArmyUSA.com to volunteer. “I can speak for all Oklahoma today when I thank you for your continued thoughts, your prayers, your support as we begin the recovery process. Oklahoma is grieving and in pain, but the devastation such as this tends to bring us closer together as a country. Tags: U.S. Senator, Jim Inhofe, Tornado, Moore, Oklahoma, Weekly Republican Address To share or post to your site, click on "Post Link". Please mention / link to the ARRA News Service. Thanks! Gary Bauer, Contributing Author: As we head into this holiday weekend there are some important news items I want to comment on a few headlines. Yesterday President Obama tried to change the subject away from all the scandals engulfing his administration by giving a major address on foreign policy. He effectively declared an end to the "global war on terror." Well, we weren't the ones who declared war, and one side doesn't get to unilaterally decide it is over unless they are surrendering. Obama also announced that he plans to dramatically scale back drone attacks. Ironically, this administration has launched more drone attacks than any previous administration, and it is one of Obama's more popular policies. But Obama announced that future drone strikes would be limited to situations where "there must be near-certainty that no civilians will be killed or injured," meaning there will be far fewer drone strikes against suspected terrorists in the future. Lastly, the president announced another all-out effort to close Gitmo and bring the terrorist thugs to a prison near you. NBC News reported last night that Attorney General Eric Holder personally signed the orders to seize personal and work phones and email records of Fox News reporter James Rosen. What is so shocking in this case is that Holder cited the Espionage Act and considered Rosen a criminal co-conspirator and a flight risk! In response to the growing media outrage, President Obama has ordered the Justice Department to review its guidelines on investigating journalists. In other words, Holder will be reviewing his own work. Lois Lerner, the director of IRS tax-exempt office at the center of the Tea Party targeting scandal, has been placed on administrative leave with pay after refusing to testify before Congress. Acting IRS Commissioner Daniel Werfel reportedly asked for her resignation, but she refused. So, her "punishment" is that she is not allowed to go to work, and your punishment is that you must still continue to pay her! Despite strong opposition from parents and leaders, 1,400 delegates at the Boy Scouts of America's annual meeting voted to reverse the BSA's current membership policy and permit homosexual scouts as members, while continuing to ban homosexual scout masters. With this decision the BSA has demoralized its strongest supporters and guaranteed that it will have fewer defenders in the future. 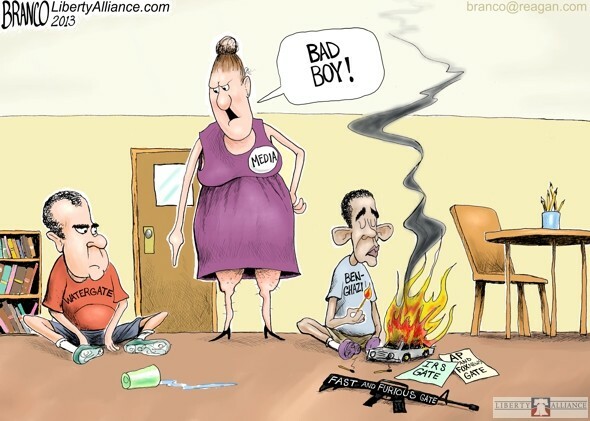 Meanwhile the left is not satisfied with this so-called "compromise." Homosexual rights groups are demanding a role in enforcing the new policy, and they are also vowing to keep pressuring the Scouts until they lift the ban on gay leaders. Tags: headlines, review, Barack Obama, War on Terror, Eric Holder, ordered Fox News seizures, Lois Lerner, Boy Scouts, Gary Bauer, Campaign for Working Families To share or post to your site, click on "Post Link". Please mention / link to the ARRA News Service. Thanks! Slow Lerner - Pleads The 5th! Update: Wire services reported yesterday that Lois Lerner was placed on administrative leave after reportedly refusing to resign. Lerner came under fire this week when she chose to invoke her Fifth Amendment right not to incriminate herself rather than testify before the House Oversight and Government Reform committee. IRS acting commissioner Daniel Werfel announced that Ken Corbin, currently the Deputy Director, Submission Processing, Wage and Investment (W&I) Division, has been selected to be the acting Director, Exempt Organizations, Tax Exempt/Government Entities Division. 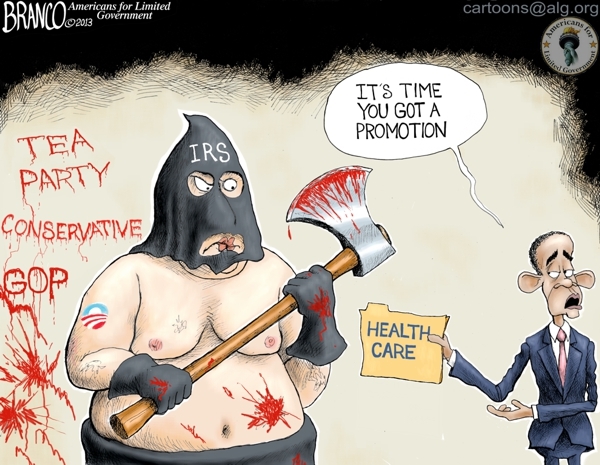 Will Lois Lerner continue to draw on taxpayer's dollars? Will she fall on her sword for others in the Obama administration? Or she guilty? 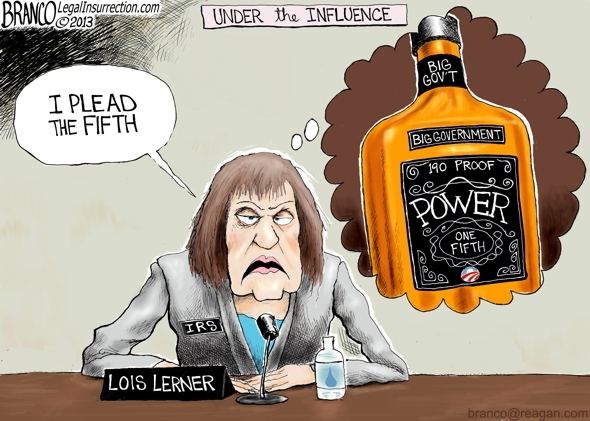 Tags: Lois Lerner, IRS, pleads the 5th, under the influence, power, editorial cartoon, AF Branco To share or post to your site, click on "Post Link". Please mention / link to the ARRA News Service. Thanks! Does Rand Paul's Rise Signal A Broader Libertarian Moment? by Ralph Benko, Contributing Author: Libertarianism, thanks, among other factors, to the emergence of leading presidential candidate Sen. Rand Paul, is coming to the fore. It is presenting itself in fresh, less eccentric, and increasingly attractive ways. Moderate libertarianism may be capturing the fancy of an overtaxed, fed-up-with-debt-fueled grandiose government, war-weary, live-and-let-live, Republican base and American people. Time Magazine recently featured Sen. Rand Paul as one of the 100 most influential people in the world. He was not just on the list. Time placed Paul on its cover for the first, though likely not for the last, time.) This may signal the emergence of the Libertarian Moment. We didn’t arrive into this “Grandiose Government” pickle absolutely positively overnight. Sen. Paul and others seek to lead us on the path out and to safety. It will make their job easier if we better understood how we ended up in this gutter in the first place. The road toward serfdom was a long and winding one. How did the American government transform from our servant to master? Where did it get the resources to move from a small, frugal, lighthouse-keeping cluster of agencies to its status of world-record “Hey Big Spender” which, with federal 2013 projected outlays of $3.8T, spends more than the entire GDPs of every nation other than the U.S. itself, China, and Japan? The federal government spent $15 billion from 1789 – 1900. Not $15 billion a year. $15 billion cumulatively. [Ed. Note: by another source, it was $16.5B, an immaterial difference.] Uncle Sam will spend $10 billion a day in 2011. The federal government spends more every two days than it did altogether for more than America’s first century. Although these sums are not adjusted for inflation [or population growth] they give a correct impression of the magnitude of the change from what our Founders set forth and our early statesmen delivered. The power to print money at whim is wrong. It is toxic to our personal and national wellbeing. And it is unconstitutional. From $16 billion cumulatively over a century to $10 billion a day? Unconstitutional? Therein hangs a tale. Spoiler alert: it was a logically indefensible 1884 U.S. Supreme Court decision about federal monetary powers that imbued the federal government with sovereign attributes. This laid the doctrinal predicate for the metastasis of meta-statism. It will be easier to extricate America from its dispiriting predicament by knowing how we got here in the first place. Enter Cato Institute. Cato promotes “a vision of society free from excessive government power.” Cato patiently has been taking the lead in disputing against the manifold rationalizations propounded by those lusting to become “corrupted absolutely” through the achievement of absolute power. Under new president John Allison, Cato, while maintaining its scholarly rigor, is beginning to pack an increasingly serious wallop inside the corridors of power. Case in point. Cato has carved out a niche as thought leader on monetary policy in Washington. This is in large measure attributable to the work of its Vice President for Academic Affairs (and editor of the Cato Journal) Prof. James Dorn. For over thirty years, Cato has staged an extensive annual conference on what had been a mostly orphaned issue: monetary policy. This annual conference now approaches iconic status. Cato now is upping the ante on monetary reform, dramatically. The Spring/Summer 2102 issue of The Cato Journal , drawing on the proceedings of its 29th annual monetary conference, was devoted to “Monetary Reform In the Wake of the Crisis.” So many prominent scholars, and many highly respected public intellectuals, were featured therein that it is impractical to list them all. Cato makes this publicly available . More recently, moreover, Cato staged a panel, to an overflowing crowd, to celebrate the publication of Prof. Richard Timberlake’s latest “tour de force” (as it is described by the influential Prof. Kevin Dowd of the University of Durham): Constitutional Money, A Review of the Supreme Court’s Monetary Decisions. The fact that premier academic publisher Cambridge University Press brought out this Cato Institute Book itself is noteworthy. Prof. Timberlake has struck a real blow for liberty by exposing — and providing a devastating intellectual critique of — the “smoking gun” behind Ultragovernment, Julliard. By authoritatively prying it from its hiding place in the vaults of American jurisprudence Timberlake furnishes a potent tool with which authentic “small r” republican leaders better may begin to right the ship of state. Timberlake’s Constitutional Money provides excellent scholarship. It also presents as an intellectual thriller, a page-turner, which those who care about classical liberalism will find impossible to put down. It is a great contribution to monetary, as well as classical liberal, discourse. Most of all in publishing this work Cato Institute provides a powerful intellectual tool to reformers such as Rand Paul. As principled officials like Sen. Paul expand the defense of our civil liberties into advancing an economic agenda built on those principles they could do no better than to begin with Timberlake’s Constitutional Money. Restoring money with constitutional integrity, and only by restoring money of constitutional integrity, will foster a climate of equitable prosperity, personal dignity, and true liberty. 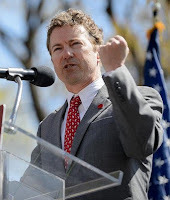 Tags: Rand Paul, libertarian movement, Ralph Benko, To share or post to your site, click on "Post Link". Please mention / link to the ARRA News Service. Thanks! Alan Caruba, Contributing Author: From its earliest days, even before the Revolution, Americans valued their newspapers and understood they played a crucial role in the issues and events of the times in which they lived. It would take a while, however, before newspapers evolved from highly partisan advocates of the early political factions to their role as watchdogs of government. A literate population depended on them for news that revealed the increasing futility of dealing with a British monarchy and parliament that found new ways to tax the essentially independent colonies. 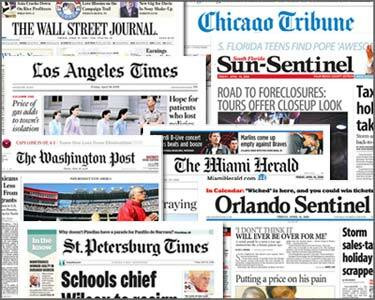 Newspapers became the glue of the new nation, eagerly read in every state, providing news of Congress and the presidency. By contrast, authoritarian governments understood the need to keep a tight control over the news and none more than the Third Reich of the Nazi Party and in the Soviet Union. On May 21st, Kirsten Powers, writing in the Daily Beast.com, borrowed from words of pastor Martin Niemoller, a German who witnessed their rise to power and who framed the manner in which the Nazis targeted, jailed and killed all those they deemed enemies of the state. His poem, “First they came” was echoed by Powers who wrote “First they came for Fox News, and they did not speak out—because they were not Fox News. Then they came for government whistleblowers, and they did not speak out—because they were not government whistleblowers. Then they came for the maker of a YouTube video, and—okay we know how this story ends. But how did we get here?” The “we” to whom she referred are the nation’s journalists. In his book, Mein Kampf (My Struggle), Hitler demonstrated his contempt for the public. “The receptivity of the great masses is very limited, their intelligence is small, but their power of forgetting is enormous. In consequence of these facts, all effective propaganda must be limited to a very few points and must harp on these slogans until the last member of the public understands what you want him to understand by your slogan.” Obama’s 2008 slogan was “hope and change.” He was vague about the change he had in mind, but we have been learning about it since his election. Hitler and his minister of Popular Enlightenment and Propaganda, Joseph Goebbels, set up a department that dealt solely with newspapers. An instructive history of the press in the Third Reich can be found on the website of the United States Holocaust Memorial Museum. Not unlike the popularity and influence of Fox News, the well-known Berlin daily, the Vossische Zeitung, was targeted, along with the Berlin Tageblatt. The former employed 10,000 people, but in 1933, its owners, the Ullstein family, were forced to resign and, a year later, sell the company assets. The latter newspaper was owned by the Mosse family that published a number of major liberal papers “much hated by the Nazis.” When Hitler took power, the family fled Germany. This is not to suggest that Fox News or the Associated Press will suffer a similar fate, but it is no accident that their reporters are being intimidated by an administration that has seized telephone records as a message to their owners and editors to curb any criticism, any investigation of what they are doing. Asserting that James Rosen, a Fox reporter, engaged in criminal behavior for doing what any reporter would do, seek out information about the government, has outraged many in the press, but whether they will stand firm or buckle under remains the real question. In Germany, the press became an arm of the Nazi regime. If history is any guide, we have real cause to fear the intent of the Obama administration—one now distinguished by its leadership for having no memory of any steps they have undertaken to oppress organizations that oppose its agenda, mobilizing the IRS and Department of Justice. We are looking into a tyrannical abyss and it is time to be afraid, be very afraid. Tags: tyrannical abyss, Obama administration, attacks on freedom of the press, be afraid, very afraid, Alan Caruba, To share or post to your site, click on "Post Link". Please mention / link to the ARRA News Service. Thanks! by Phyllis Schlafly: The Gang of Eight immigration bill can be summed up as amnesty now, border closing never. The Department of Homeland Security is not required to build a fence (which was ordered by the Secure Fence Act signed by President George W. Bush). DHS is required only to submit a plan. This amnesty will cost the U.S. taxpayers $6.3 trillion over the lifetimes of the amnestied persons, mostly outside the 10-year window used for CBO calculations. This horrendous sum, which includes all forms of public benefits less the taxes they pay, was copiously documented by the Heritage Foundation. Every amnestied person will become eligible for ObamaCare upon receiving a green card, and within five years will be able to cash in on our 79 means-tested welfare benefits. The timetable for these generous benefits will almost certainly be advanced because of Senator Chuck Schumer’s demands, Obama’s executive orders, or lawsuits brought before judges who believe in a “living” Constitution. The Gang of Eight’s so-called requirement that those amnestied will have to pay back taxes is a sham. They will be asked to pay only any taxes already computed and assessed by the Internal Revenue Service and, since the many years the illegals worked off the books never came to the attention of the IRS, those years will not be counted. There are so many loopholes and exemptions to the so-called requirement that amnestied aliens speak English that it’s a total farce. IRS bureaucrats testified in the congressional hearing that the IRS was so overwhelmed by the copious paperwork involved in a few hundred Tea Party applications that the IRS had to perform “triage.” So how can the IRS cope with 11 million applications for RPI status from people whose paperwork is mostly forged or stolen? One big fraud in the current admission of legal immigrants is illustrated by the entry of the Boston bomber’s family as refugees. Remember, they were given welfare benefits worth $100,000. Tags: Phyllis Schlafly, Eagle Forum, Gang of Eight, Betrays America, Amnesty, Illegal aliens To share or post to your site, click on "Post Link". Please mention / link to the ARRA News Service. Thanks! Abuse of Power and Intimidation Not Limited To The Administration; Is Being Promoted By Senate Democrats. Lois G. Lerner, the IRS official who was over the department that targeted conservative groups, appeared this morning before the House Oversight and Government Reform Committee. After insisting that she did nothing wrong, she claimed her 5th Amendment rights not to answer any questions. Learner said, "I have not done anything wrong." She claimed, "I have not broken any laws, I have not violated any IRS rules or regulations and I have not provided false information to this or any other congressional committee. And while I would very much like to answer the committee’s questions today, I have been advised by my counsel not to." 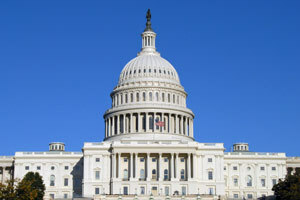 The Senate reconvened and resumed consideration of S. 954, the farm bill. At noon, the Senate rejected an amendment to the farm bill from Sen. Jim Inhofe (R-OK), which would have converted the food stamp program into a block grant program for the states by a vote of 36-60. At 4 PM, the Senate will take up S. Res. 65, the Iran sanctions resolution. At 5 PM, the Senate will vote on passage of S. Res. 65. Votes on other amendments to the farm bill are also possible today. Yesterday, Senate Majority Leader Harry Reid (D-NV) filed cloture on the nomination of Srikanth Srinivasan to the D.C. Circuit Court of Appeals, setting up a Thursday cloture vote. When Republicans offered Reid an up-or-down vote on the nomination a few days from now to allow all senators to review his record, Reid objected. Yesterday, the Senate voted for an amendment to the farm bill from Sen. Maria Cantwell (D-WA) and voted down amendments from Sen. Pat Roberts (R-KS) and Sen. Kirsten Gillibrand (D-NY). 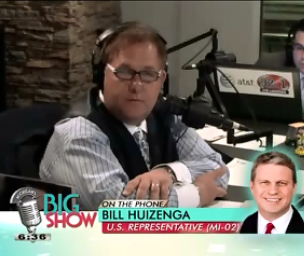 HR 271 — Resolving Environmental and Grid Reliability Contracts Act of 2013. HR 1949 — Improving Postsecondary Education Data for Students Act. H.R. 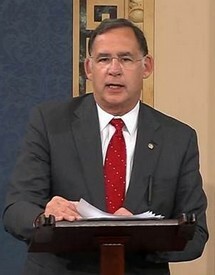 570 (voice vote) — "To amend title 38, United States Code, to provide for annual cost-of-living adjustments to be made automatically by law each year in the rates of disability compensation for veterans with service-connected disabilities and the rates of dependency and indemnity compensation for survivors of certain service-connected disabled veterans." S. 982 (voice vote) — "To prohibit the Corps of Engineers from taking certain actions to establish a restricted area prohibiting public access to waters downstream of a dam, and for other purposes." H.R. 1412 (416-0)— "To improve and increase the availability of on-job training and apprenticeship programs carried out by the Secretary of Veterans Affairs, and for other purposes." H.R. 324 (415-0)— "To grant the Congressional Gold Medal, collectively, to the First Special Service Force, in recognition of its superior service during World War II." H.R. 1344 (413-0) — "To amend title 49, United States Code, to direct the Assistant Secretary of Homeland Security (Transportation Security Administration) to provide expedited air passenger screening to severely injured or disabled members of the Armed Forces and severely injured or disabled veterans, and for other purposes." Adding to the reported shenanigans by the administration, Senate Democrats are advancing intimidation in an effort to aid the White House. There is a possibility that Democrats in the Senate will deploy the so-called “nuclear option” and eliminate the filibuster in order to force through controversial Obama nominees. During a conference call on Tuesday afternoon, Sen. Tim Scott argued the “nuclear option” should be off the table. “The Democrats keep threatening us with the nuclear option…and you can’t keep threatening the entire body.” And Senate Minority Leader Mitch McConnell today listed the threat of the “nuclear option” as just one part in a culture of political intimidation in Washington along with, among other things, the blossoming IRS scandal. The Washington Free Beacon reports, "Some Democrats fear that Republicans could block Obama’s appointees for secretary of labor and the National Labor Relations Board after Scott and his GOP colleagues on the Senate Health, Education, Labor, and Pensions Committee (HELP) grilled the nominees during a hearing last week. In the HELP hearing last week, Vermont Sen. Bernie Sanders, an Independent who caucuses with Senate Democrats, proposed using the nuclear option if the Democrats were unable to reach the 60-vote threshold needed to confirm the nominees. “We will not get 60 votes…[so] I think we should change the rules and take a majority vote to not only see that these people are seated so that they can do their job but that other nominees who have been clearly obstructed also have a chance to do their job,” he said to committee Republicans. 'You guys just happen to be in the way right now . . .'"
The Beacon also reports, "HELP Republicans twice delayed Tom Perez’s nomination to head the Department of Labor, citing his failure to cooperate with a House Oversight and Government Reform Committee investigation into allegations that he used a private email account to conduct government business on more than 1,000 occasions — a tactic associated with dodging disclosure laws. Perez is also being investigated for an alleged quid pro quo that cost taxpayers up to $200 million. Perez passed through committee 12-10 on Thursday morning; no Republicans supported the nomination." Senate Republican Leader Mitch McConnell in a press release titled Threat of Nuclear Option Is Really a Pretext for Dem Power Grab said, “Recently, we’ve seen troubling signs that there are some in the Executive Branch who would use the power of the federal government to intimidate political opponents. . . . reports that the IRS targeted conservative citizens’ groups for harassing and discriminatory treatment simply because they sought to exercise their First Amendment rights of association and speech. “Or during the debate on Obamacare, when the Department of Health and Human Services issued a gag order on insurance plans in an attempt to prevent them from telling their customers about problems with the bill. Now, there are published reports that the same Department is trying to shake down some of those same companies for money so it can try to convince Americans to finally like Obamacare. And over at the FCC, the President’s allies are trying to shut down or make it difficult for people who want to buy advertising to exercise their First Amendment rights to criticize the Administration. “It all points to a culture of political intimidation. But, unfortunately, it doesn’t seem that the culture of intimidation is simply confined to the Executive Branch. “The Administration’s allies in the Senate are trying to intimidate their political opponents as well. What I’m talking about, is the persistent threat by the Majority to break the rules of the Senate in order to change the Rules of the Senate — in other words, to use the nuclear option — if they don’t get their way. “For example, Senate Democrats were incensed that Republicans had the temerity to exercise their Advice and Consent responsibility to block a grand total of one — that’s right, one — nominee to the D.C. Circuit. What did our Democrat colleagues do in response? They consulted with the White House and pledged to pack the D.C. Circuit with appointees, quote, ‘one way or the other’ — meaning using the nuclear option. “They are not doing this because the D.C. Circuit is burdened with cases. Far from it. The D.C. Circuit is one of the least busy courts in the country. No, they want to use the nuclear option to pack the D.C. Circuit so it can rubberstamp the President’s big government agenda—the same big government we’ve seen at the IRS and elsewhere. But that’s not the limit of the culture of intimidation here in the Senate. Let’s look at the NLRB situation. “Despite the story that the Administration and Senate Democrats want to spin, Senate Republicans did not block the President’s nominees to the National Labor Relations Board; rather, it was the President who blocked the nominees to the Republican slots on the NLRB so he could—again—pack a powerful branch of government, in this case the NLRB. “The Administration sat on one of two Democrat vacancies at the NLRB for four months. It then waited until the middle of December in 2011 to send up both nominees for the Democrat seats on the NLRB, while refusing to send up any of the nominees for the Republican seats. In fact, the Administration sat on the Republican nominees to the NLRB for nine months. Then, with no Republican nominees to the NLRB before the Senate, the President purported to ‘recess appoint’ the two Democrat nominees to the Board when their nominations had been before the Senate for less than three weeks. It was so fast, the Democrat Majority didn’t even have time to schedule a hearing. “Our Democrat colleagues did not defend the Senate from the President’s unprecedented and unconstitutional power grab; Republicans had to do that. And now that the D.C. Circuit has found these purported appointments to be unconstitutional (and other circuit courts are agreeing with its reasoning), what is the Democrat Majority threatening to do? It’s planning to double-down and aid the Administration with this power grab at the NRLB. “Specifically, as with their effort to pack the D.C. Circuit, the Majority is threatening to use the nuclear option so they can push through unlawfully appointed board members over the principled objections of Senate Republicans. It doesn’t seem that our Democrat colleagues want to respect the rules of the Senate, or that they want to respect the rulings of our federal courts. It appears they just want to enable the President and organized labor to exercise power at a powerful federal agency without anyone getting in the way. . . . These threats to use the nuclear option because of obstruction are just pretexts for a power grab. “The Senate has confirmed 19 of the President’s judicial nominees so far this year. By this point in his second term, President Bush had a grand total of four judicial confirmations. “Moreover, Republicans on the Judiciary Committee just voted unanimously to support the President’s current nomination to the D.C. Circuit. And the Senate Republican Conference agreed yesterday to hold an up and down vote on his nomination, which has only been on the Executive Calendar since Monday, to occur after the Memorial Day Recess. That way, Members who do not serve on the Judiciary Committee could have a week to evaluate this important nomination. Instead, the Majority Leader chose to jam the Minority — he rejected our offer for an up or down vote and filed cloture on the nomination just one day after it appeared on the Executive Calendar. “This is another example of the Majority manufacturing a crisis to justify heavy-handed behavior. As for the NLRB, Republicans are willing to support nominees who were not unlawfully appointed, and who have not been unlawfully exercising governmental power. And regarding nominees generally, Senate Republicans have been willing to work with the President to get his team in place. “The Secretary of Energy was confirmed 97 to 0. “The Secretary of the Interior was confirmed 87 to 11. “The Secretary of the Treasury was confirmed 71 to 26. “The Director of the Office of Management and Budget was confirmed 96 to 0. “And the Secretary of State was confirmed 94 to 3 - just 7 days after the Senate received his nomination. “So these continued threats to use the nuclear option point to the Majority’s own culture of intimidation here in the Senate. Tags: Washington, D.C., White House, Senate Democrats, intimidation, abuse of power, nuclear option, NLRB nominations To share or post to your site, click on "Post Link". Please mention / link to the ARRA News Service. Thanks!